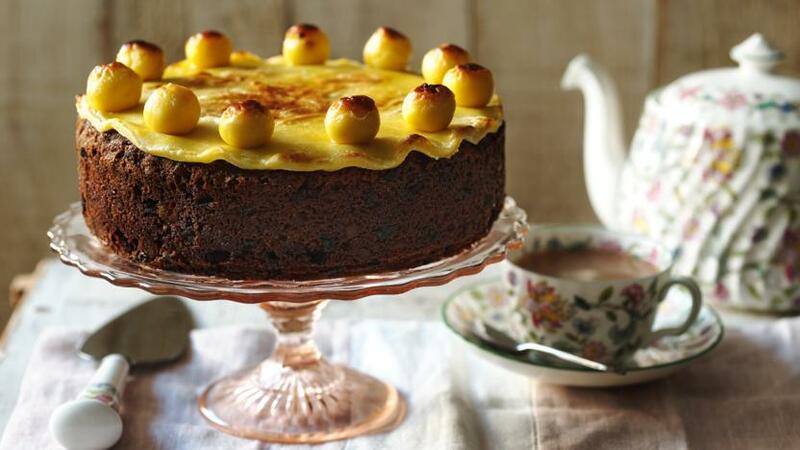 Simnel cake was traditionally given by servant girls to their mothers when they returned home on Mothering Sunday. But it's now become a classic Easter cake. Preheat the oven to 150C/280F/Gas 2. Grease and line a 20cm/ 8in cake tin. 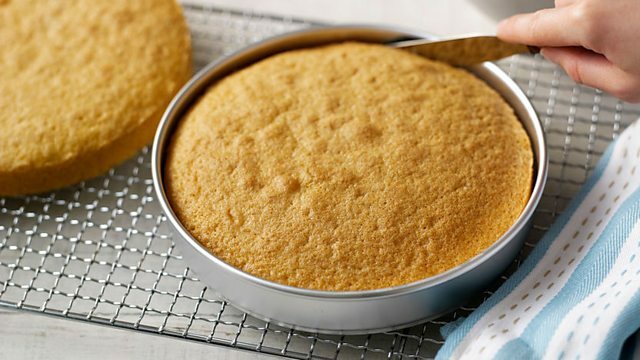 Take one-third of the marzipan and roll it out to a circle the size of the tin and then place on top of the cake mixture. Spoon the remaining cake mixture on top and level the surface. Bake in the pre-heated oven for about 2½ hours, or until well risen, evenly brown and firm to the touch. Cover with aluminium foil after one hour if the top is browning too quickly. Leave to cool in the tin for 10 minutes then turn out, peel off the parchment and finish cooling on a wire rack. When the cake is cool, brush the top with a little warmed apricot jam and roll out half the remaining marzipan to fit the top. Press firmly on the top and crimp the edges to decorate. Mark a criss-cross pattern on the marzipan with a sharp knife. Form the remaining marzipan into 11 balls. Brush the marzipan with beaten egg and arrange the marzipan balls around the edge of the cake. Brush the tops of the balls with beaten egg and then carefully place the cake under a hot grill until the top is lightly toasted.